This house was constructed in the heavily wooded Semi-Tropical Spiritualist Tract in 1909 as a small mountain cabin in the country. 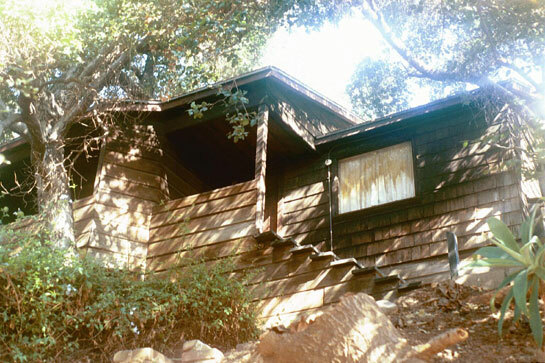 The house was purchased in 1932 by modernist landscape artist and woodcarver, Paul Landacre, and his wife, Margaret. It was in this wooded enclave, surrounded by California Live Oaks and other native vegetation, that Landacre produced most of his best work. Using the medium of wood blocks to produce his highly acclaimed black and white prints, Landacre’s work is considered the best of his era, as he was acclaimed as the undisputed master of the wood block technique. His many patrons included Mrs. E. L. Doheny and Mrs. Samuel Goldwin. Landacre’s work is exhibited at many prominent art museums including the Los Angeles County Museum of Art.